Berlin occupies a special place in my heart. It was in this city with its chequered history and haunting beauty that IMA came to fruition during my three year tenure there. The freedom to express and to follow one's own individual path that I embraced in Berlin provided the impetus for me to not only change careers but to dive head first into the world of blogging and eventually casting. 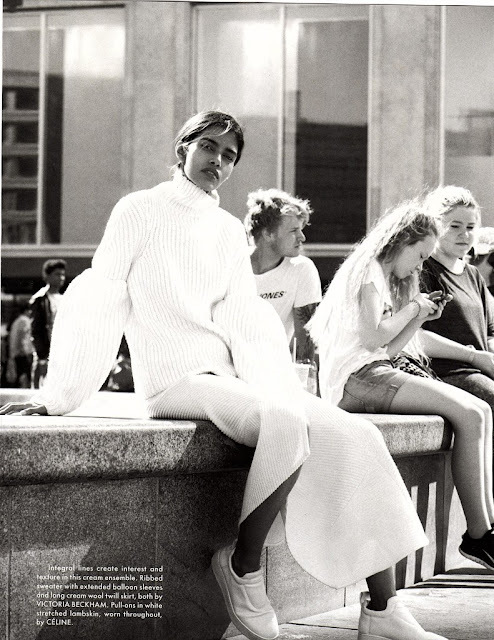 The über cool publication The Gentlewoman showcases the jaw-dropping beauty of Indian newcomer Pooja Mor with Berlin's focal point, for tourists, locals, and everything in between, Alexanderplatz as a compelling backdrop. Berlin-based photographer Benjamin Alexander Huseby captures the effortlessly cool Pooja as she models monochrome ensembles culled from the collections of Louis Vuitton, Victoria Beckham, Sacai, Marni, Hermés, and Céline by stylist Caroline Newell. The former engineering student from Mumbai has had a meteoric rise through industry ranks since trading in her study books via an international runway debut at Louis Vuitton's Resort 2016 show and blue chip editorial bookings for Another Magazine, Dazed & Confused, and Vogue Italia. 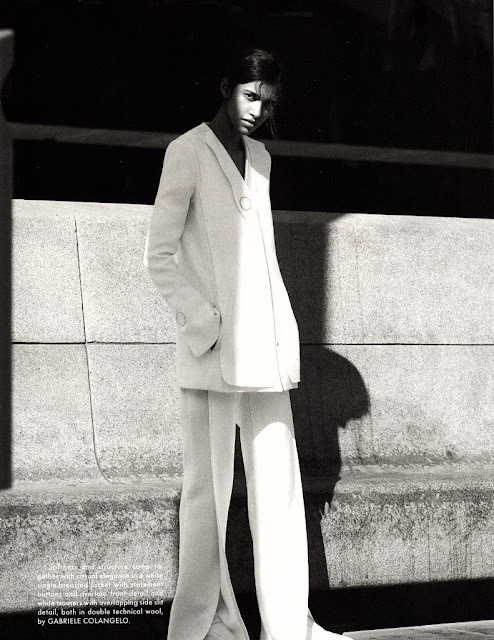 With representation by Elite Model Management NY, Pooja is well on her way to landing a plum spot in IMA's Top 10 Newcomers list for Spring/Summer 2016 with turns on the runway at Givenchy, Lacoste, Jill Stuart, Victoria Beckham, Derek Lam, and Tory Burch.